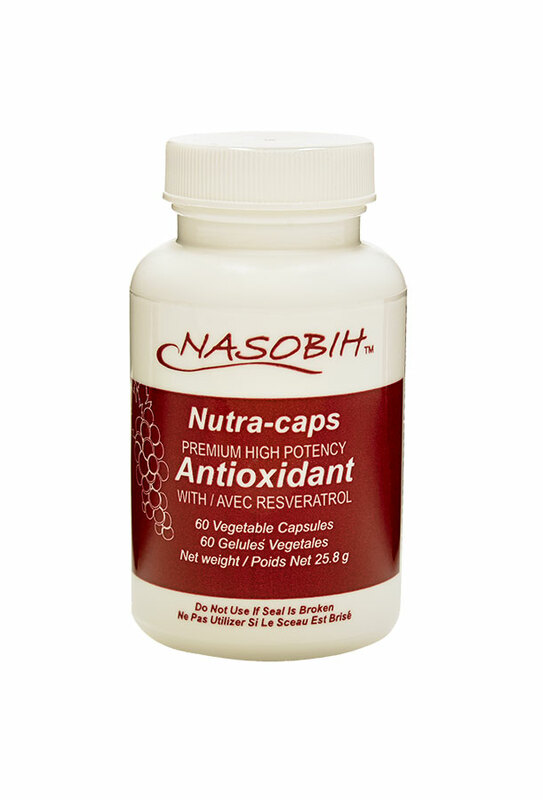 High Quality Antioxidants, Resveratrol for Cardiovascular Health | Nasobih | Nasobih Naturals Ltd.
Approved by Health Canada’s Natural Products Directorate as a source of antioxidant for the maintenance of good health. Helps to relieve symptoms related to non-complicated chronic venous insufficiency such as sensation of swelling, heaviness, and tingling of the legs. Protovin™ is a high quality grape seed extract (GSE). Because it is produced in the traditional manner through ethanol extraction, its composition has not been artificially altered through chemical manipulation. The result is a wider spectrum of proanthocyanidin activity that more exactly mimics the spectrum found in nature. . GSE is a powerful antioxidant and potent rejuvenator of the water soluble form of Vitamin C. It also has strong anti-inflammatory properties. GSE has particular affinity for the connective tissue components of the cellular makeup and has been found to be effective in returning these tissues to a more “youthful” state of being after they have suffered from age-related damage.